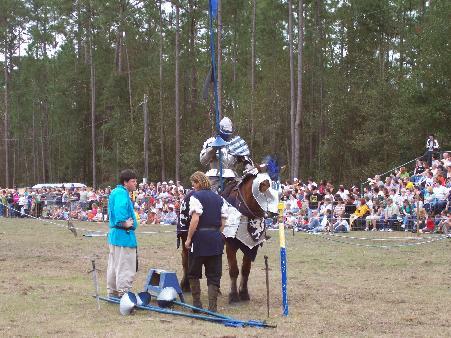 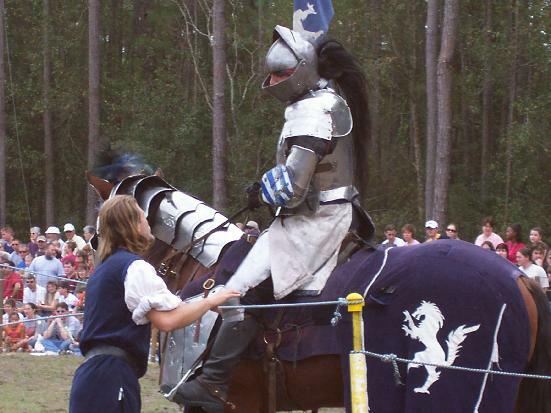 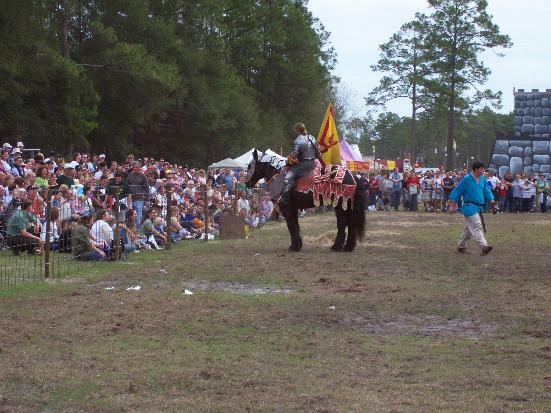 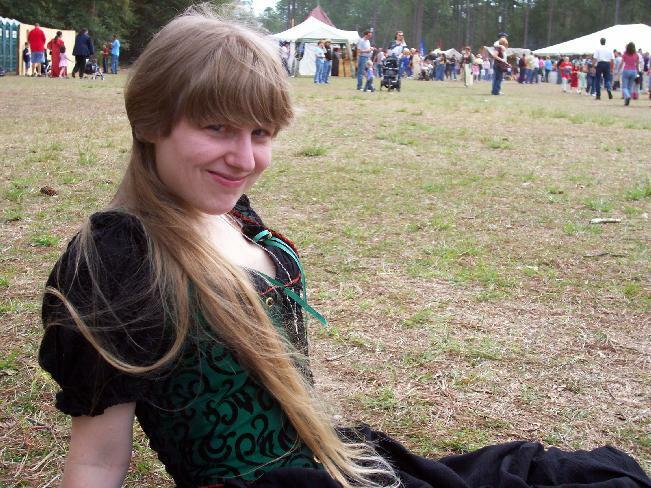 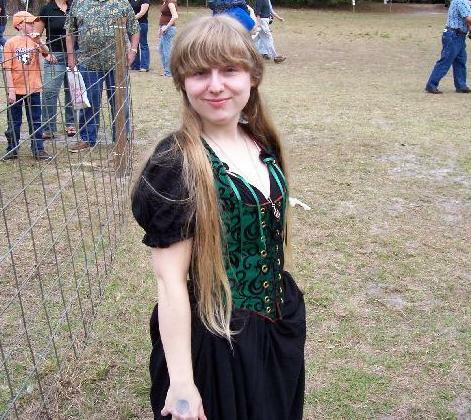 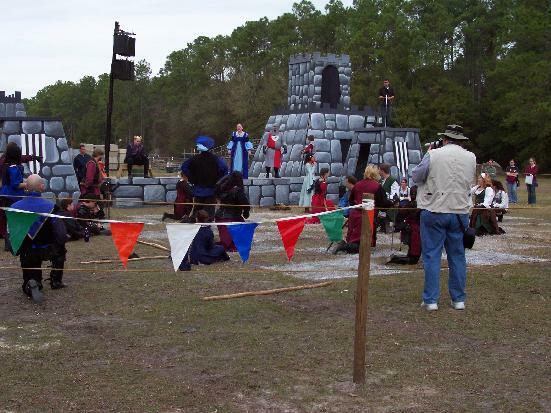 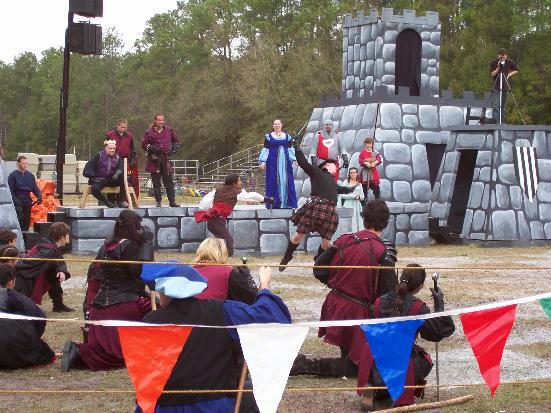 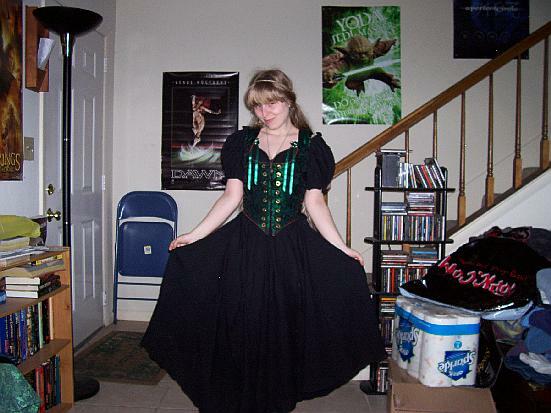 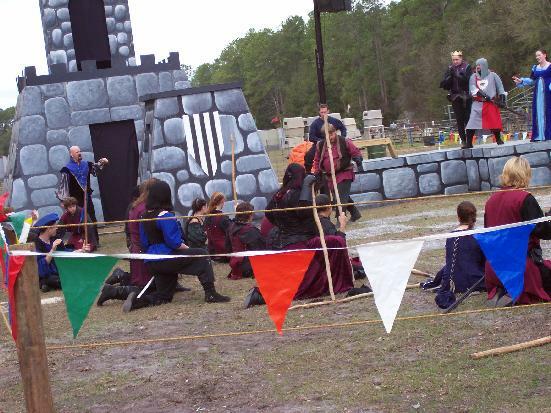 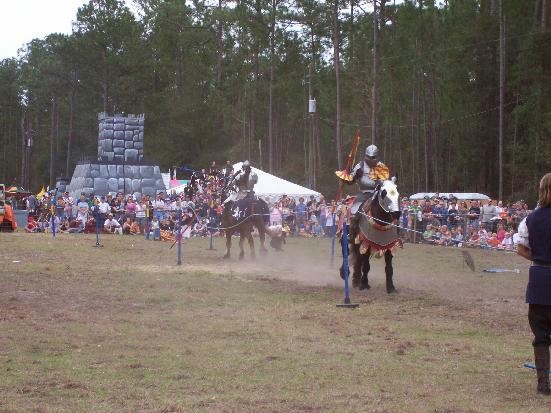 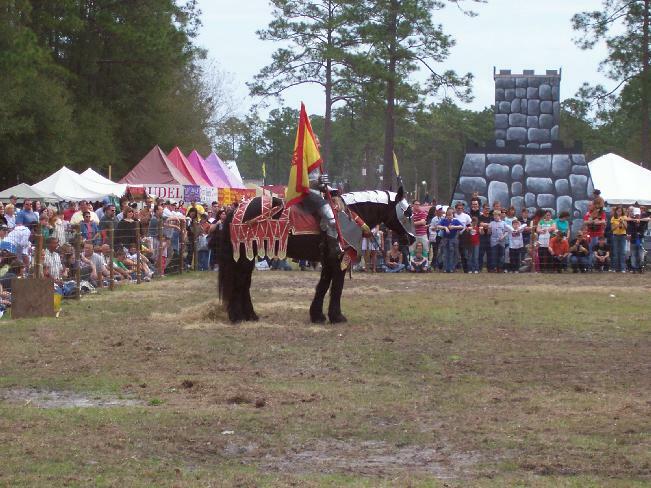 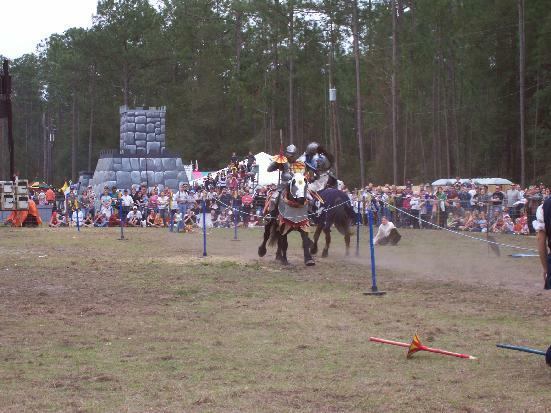 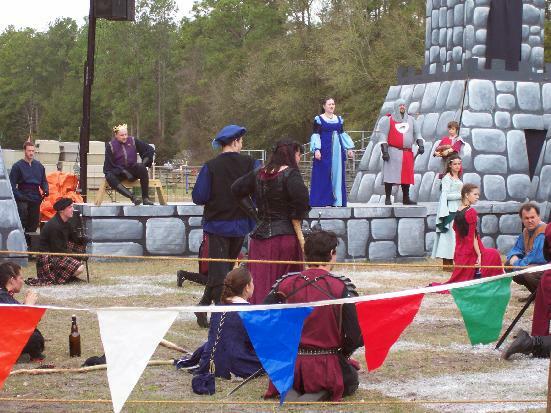 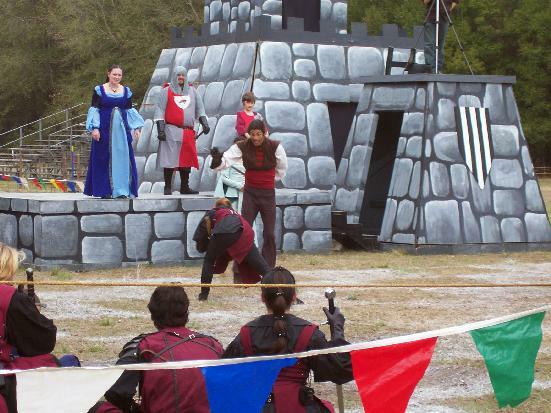 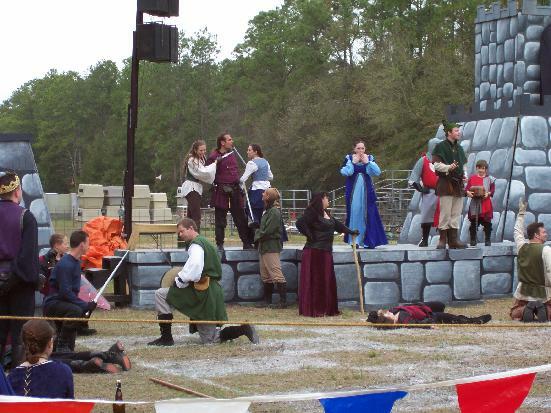 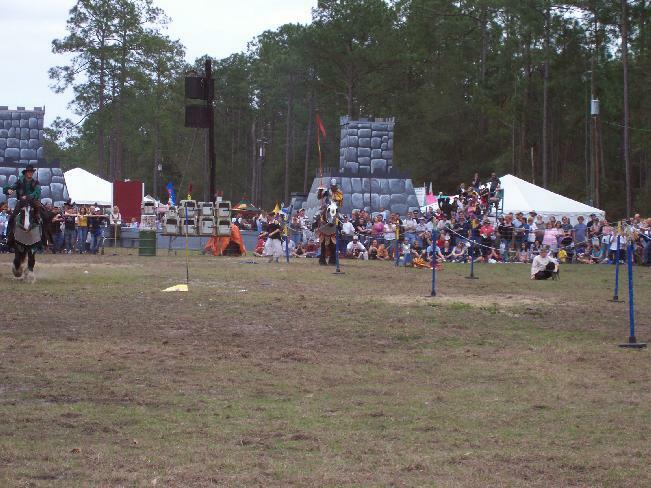 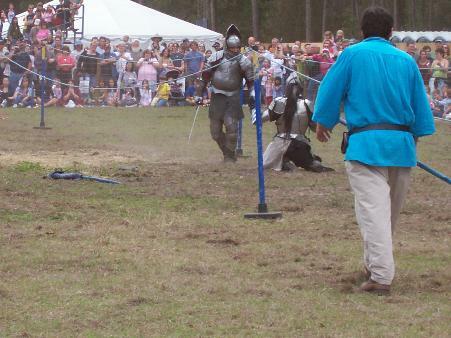 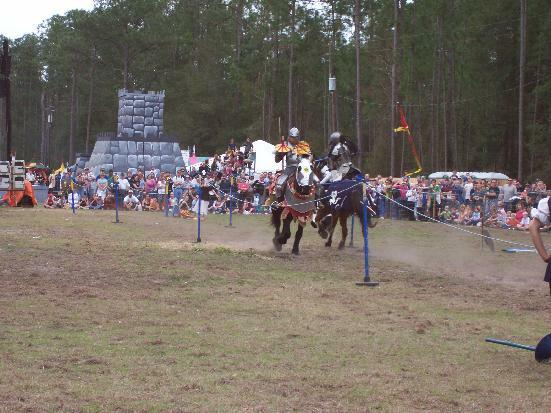 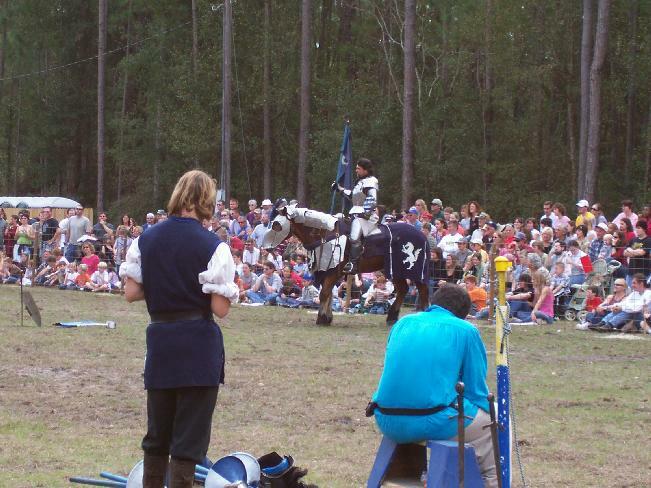 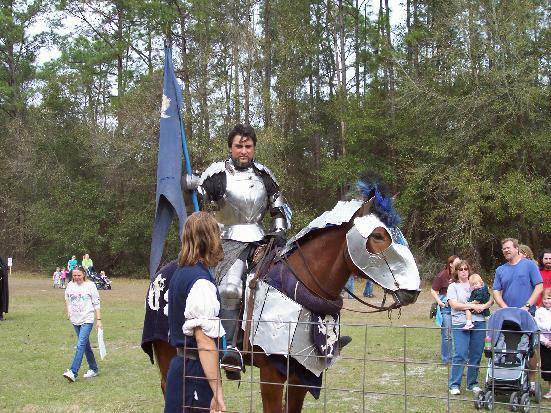 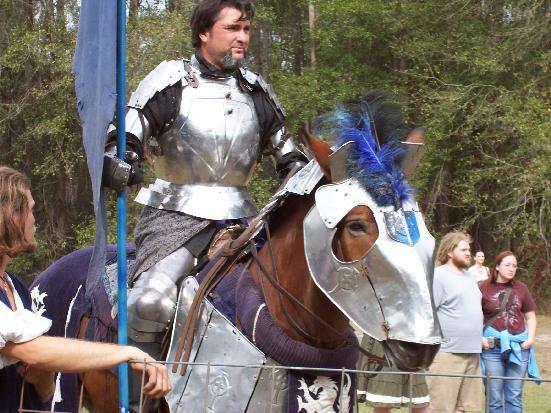 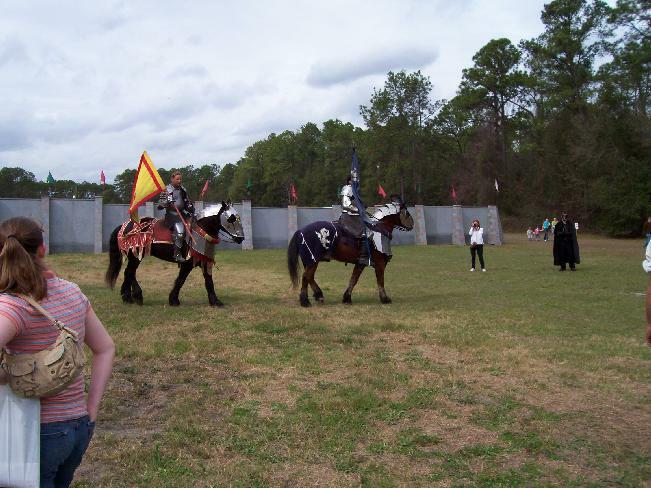 These pictures are from my 2006 Ren Faire trip with Mikey in Gainesville. 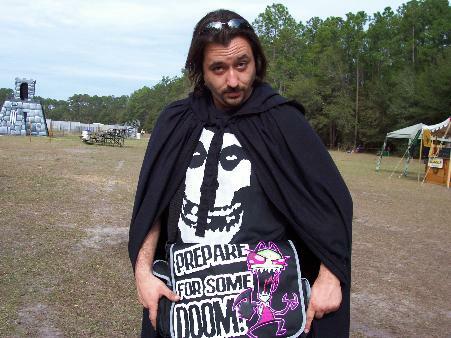 The clothes. . . .
mbagf06.jpg: And this is what Mikey was wearing, carrying his cool Zim bag. 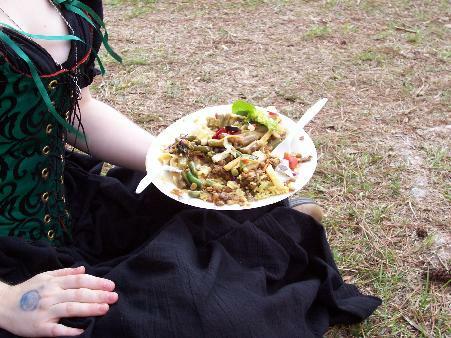 The food. . . .
fairfood.jpg: Here's the little vegetarian meal that Mikey and I shared. 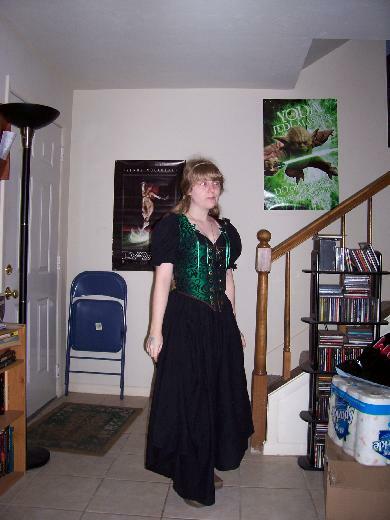 dresit.jpg: There's me after we ate. 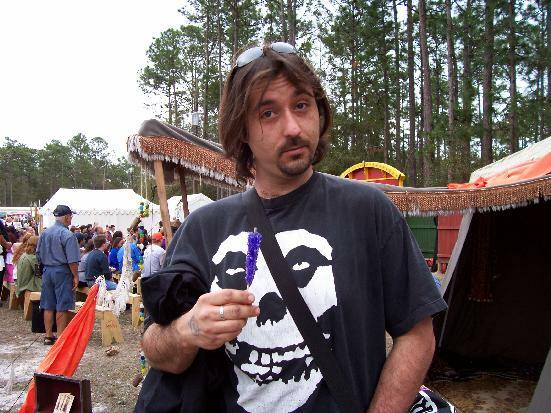 mrock1.jpg: Mikey found rock candy and got some. 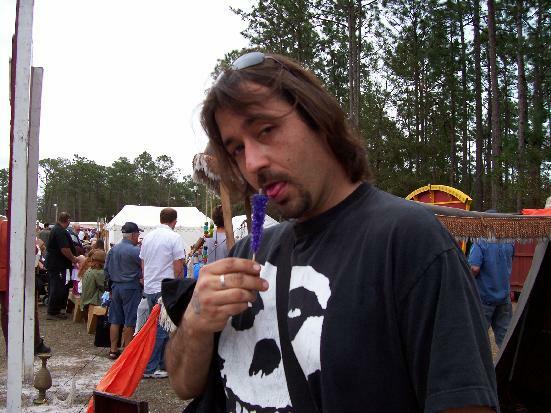 mrock2.jpg: He ate it ever so seductively. 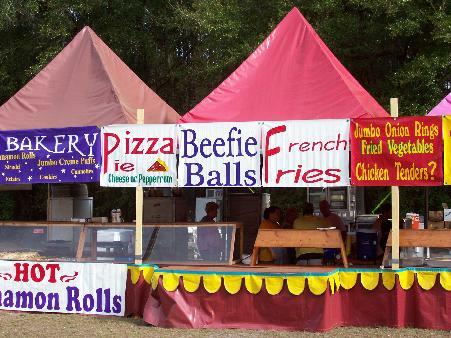 beefball.jpg: And we saw this sign for "Beefie Balls" which we thought was funny, but of course we did not eat them. 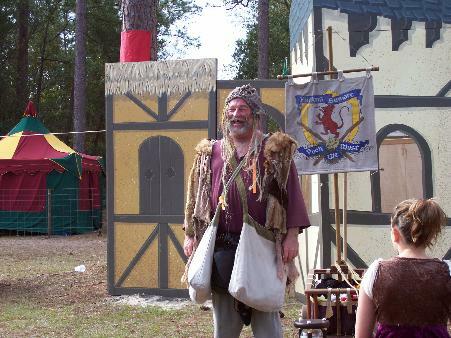 The sights. . . .
ratman.jpg: We always have to see the Rat Man. 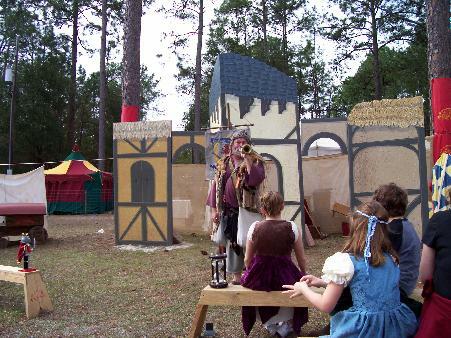 rathorn.jpg: And here he is blowing his horn to try to get idiots to come watch his show. 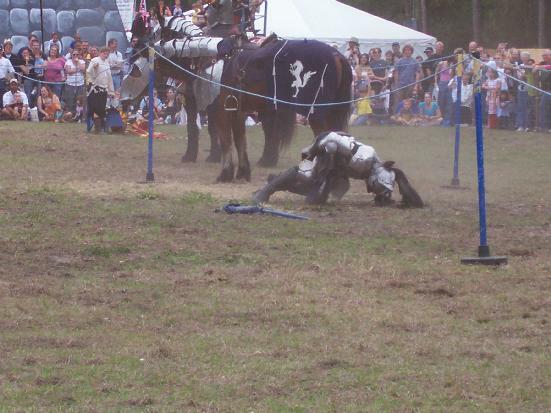 Idiots like us! 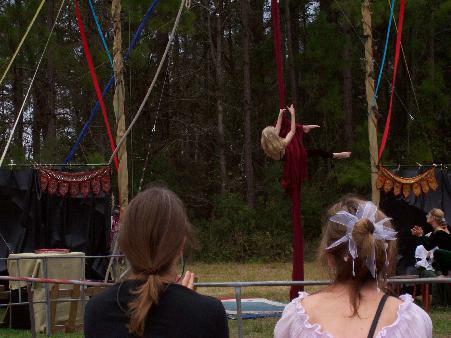 scarf1.jpg: We saw a beautiful act with these acrobats who flip around on scarves like they're ropes, and do sort of an aerial ballet with them. 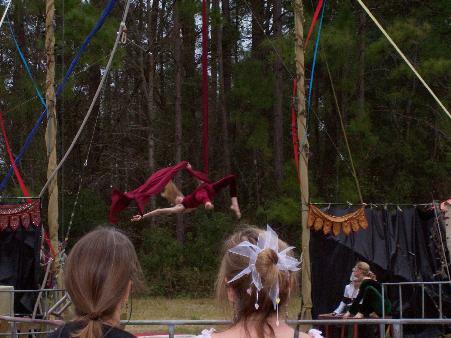 This looks really neat. 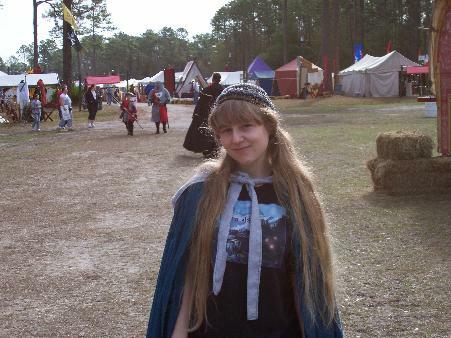 scarf2.jpg: There she is again. 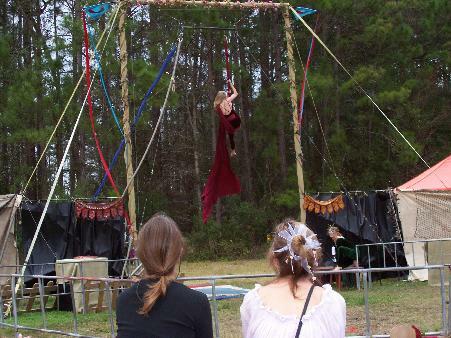 scarf3.jpg: Look how pretty it is when she spins! 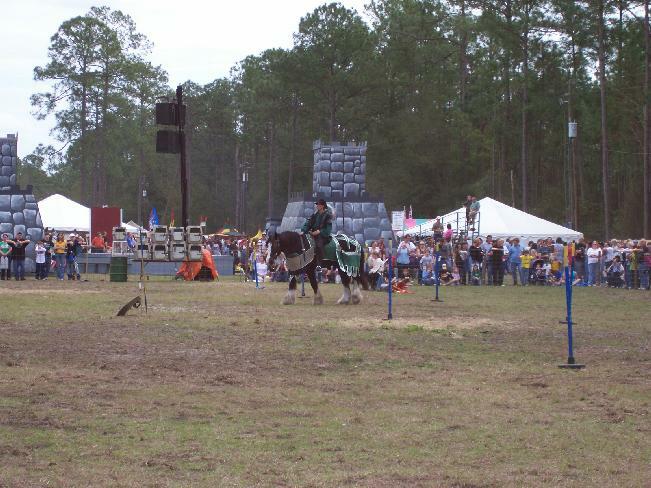 And that's it, see you next year!